Sundial’s core specialty is commercial-scale solar deployment. 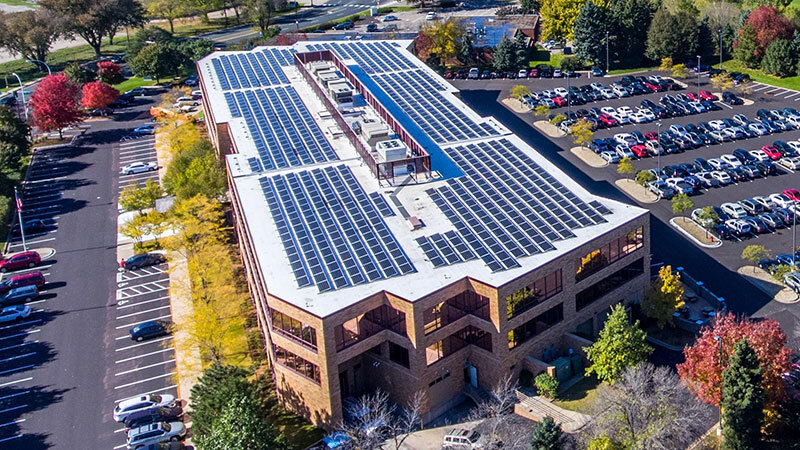 Although we develop projects across the U.S. and the world, we are a Minneapolis-based company with over 20 years of solar energy experience, including more than 300 solar installations in Minnesota. 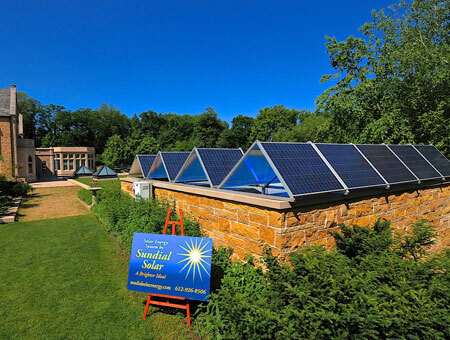 Sundial projects include rooftop solar on schools, municipal buildings, and commercial/industrial properties. 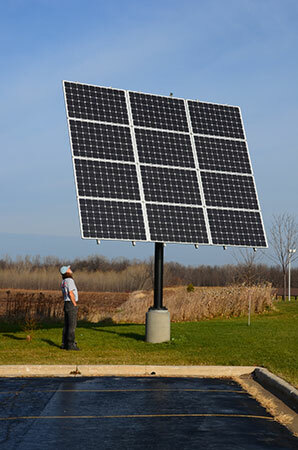 We also install ground-mount systems, trackers, solar canopies, and solar lighting. We are especially known for our unique and creative “signature” projects where challenges are met and overcome with remarkable results. Sundial specializes in developing scalable solutions for all types of buildings. Our engineers have unmatched experience in working with structures both old and new. Whatever the application, we can design a solar PV solution for your energy needs – from the very small to the extra large. 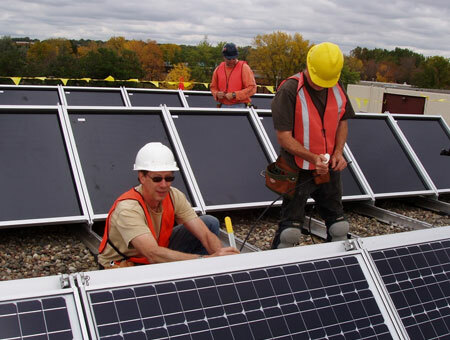 Ten years ago Sundial negotiated and installed the first municipal solar deployment in Minnesota. A lot has changed since then, but our commitment to creative and appealing solar deployments remains a cornerstone of our business. 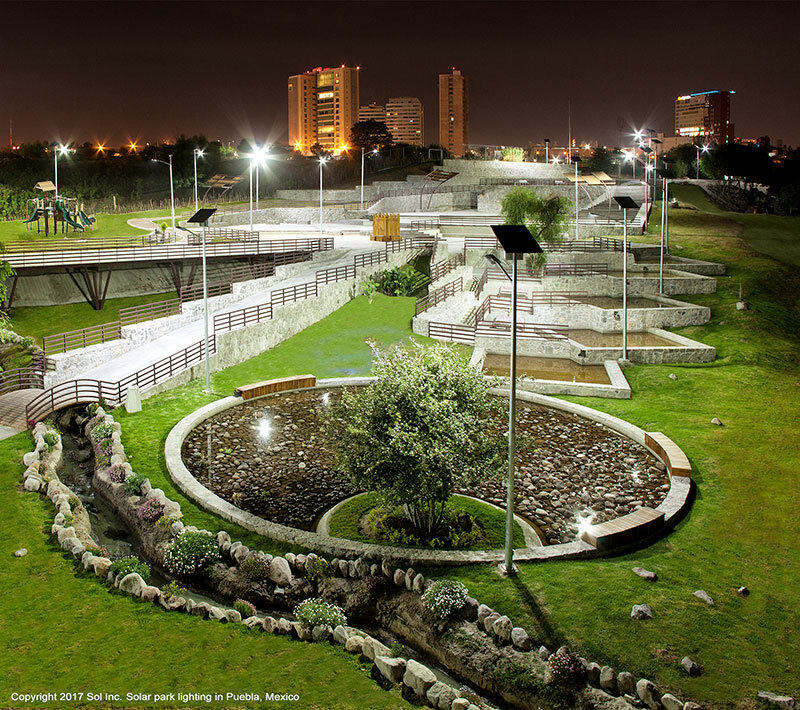 Today we work with a variety of municipal governments, as well as parks, community centers, and sports complexes to increase the level of solar access to the community at large. As part of our mission Sundial focuses on the educational aspects of solar and bringing that message to our new generation of stewards. 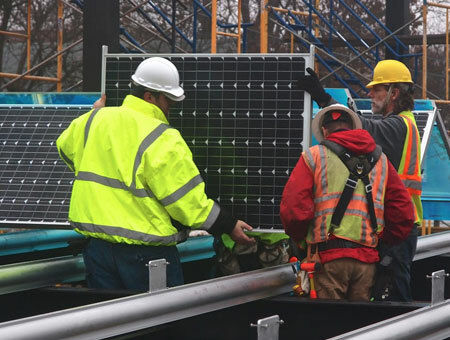 Sundial recently completed the largest solar-on-schools installation in the state – over 3MW of solar modules atop roofs in the Farmington School District. 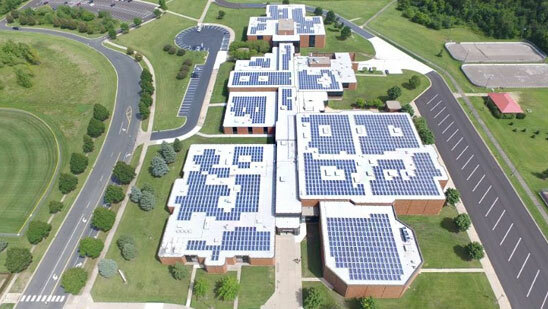 The large, flat rooftops typically found on public and private school buildings make many of these properties excellent candidates for rooftop solar systems. Parking lots can also support solar PV canopies, adding value to parking areas. 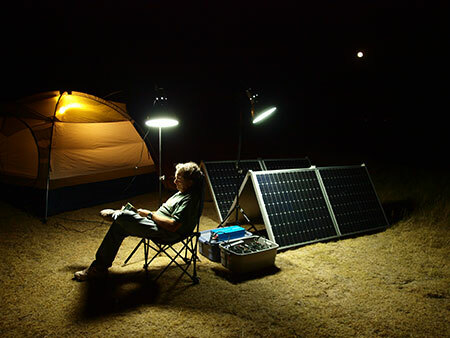 Sundial Solar aims to help the nonprofit sector have access to renewable energy. One of the great challenges in financing nonprofit solar projects is the fact that most incentives are aimed at tax paying organizations only. Sundial has special programs that provide the opportunity for nonprofits to enjoy fruits of the solar revolution just like the rest of the world. 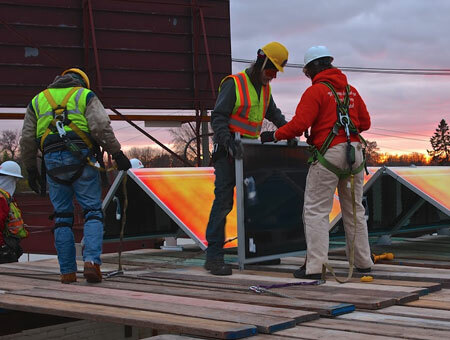 In 2010 Sundial designed and installed the first solar canopy in Minnesota at 100 year old St Paul Corner Drug. 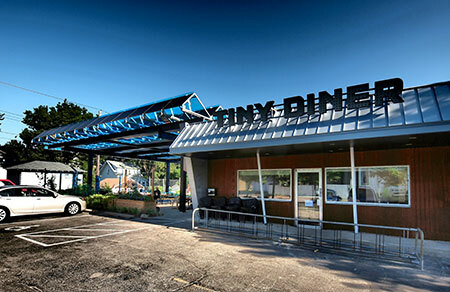 The iconic Tiny Diner solar canopy was designed and installed by our team in 2012. 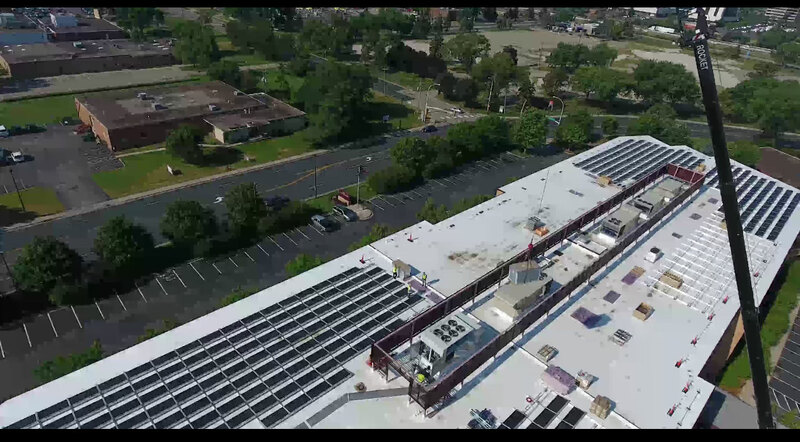 Recently we broke ground on a 100kw solar canopy over the Sustainability Plaza at Thomas Edison High School in Minneapolis, the largest such installation in the Midwest. Systems which track the sun generate the most energy by keeping the sun directly on the panels throughout the day. They are installed only on the ground. Single axis trackers are suitable for large scale ground mount arrays. Dual axis trackers are by far the most efficient, but are usually reserved for smaller, space-confined installations. Solar photovoltaic (PV) systems require maintenance to keep them performing at optimal levels. Although there are no moving parts, a solar PV system does have “wear and tear” to its components which require at minimum annual inspections. Sundial has a highly trained solar technicians that can help insure your system’s up-time performance is the highest possible. Each application is unique. At Sundial we believe in providing the most value possible to each project we develop. Utilizing our deep experience installing solar energy systems around the world, we take a fresh creative approach to every project. Whatever your energy needs or financial resources, Sundial can help overcome the challenges to bring you the best value in solar. Direct ownership is the best method for fastest payback and highest IRR on any solar system. In this scenario, the client funds the installation, taking full advantage of the tax credits, and receiving all state and utility incentives directly. 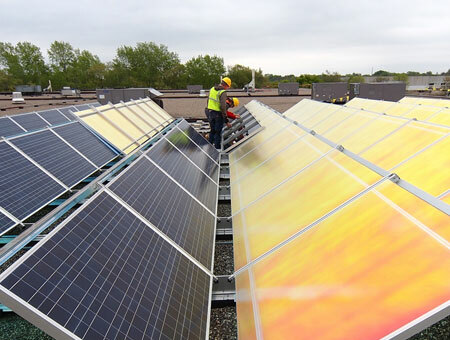 In accordance with Minnesota law, solar improvements on a building are exempt from real estate taxes despite the fact they increase the property value significantly. 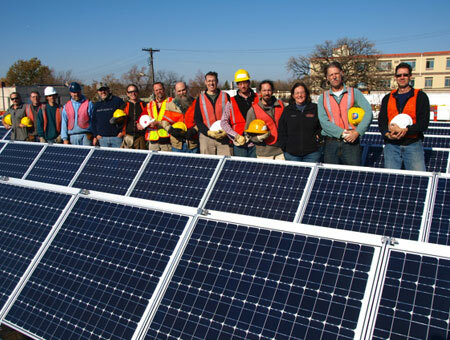 Many electric utilities across the country offer a solar rebate to system owners. 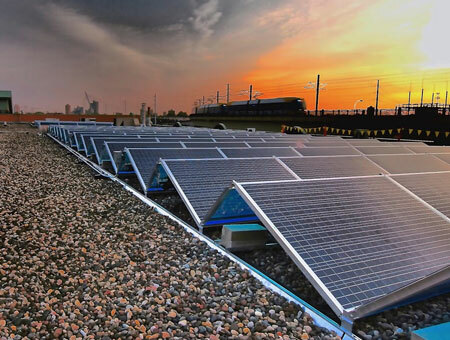 Xcel Energy in Minnesota and Colorado pays a premium for solar energy through their Solar Rewards program. Some utilities, including Xcel Energy in Minnesota and PG&E in California, pay for the value solar energy provides to them in the form of reduced peak demand and avoided transmission costs. Tax-paying entities that build and own solar systems can claim the federal Investment Tax Credit (ITC) – 30% of installed system costs – within the very first year. Solar systems qualify for Accelerated Depreciation with a 5 year accounting schedule in accordance with Modified Accelerated Cost Recovery System of the IRS. Property Assessed Clean Energy (PACE) is a financing tool allowing property owners to fund energy efficiency projects with little or no up-front costs. With PACE you can finance up to 100% of your solar project. The savings realized by your solar system will more than pay for the PACE loan, thus providing a positive cash flow from the start. The greatest advantage of a PACE loan is its simplicity. It is a short, two page application, there is no personal guarantee, and the loan is connected to the building, NOT the building owner. 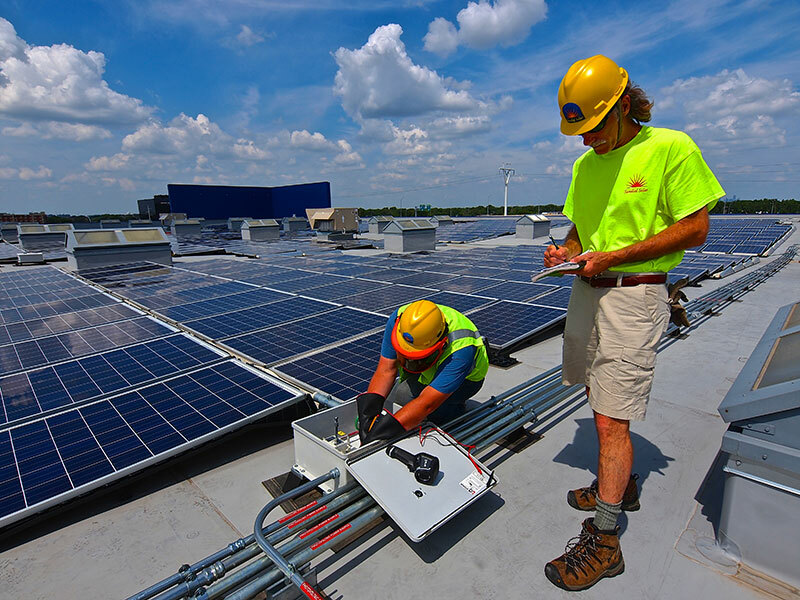 A Power Purchase Agreement (PPA) is a unique arrangement whereby a third-party finances installation and operation of the solar system on a building owned by the client. 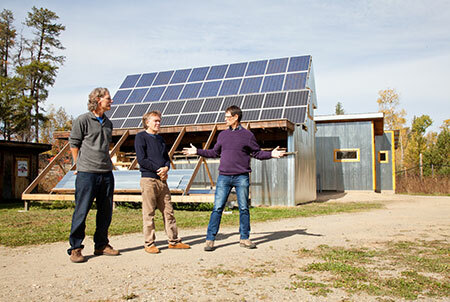 The client purchases the power from the solar system at a price that is less than the going utility rate. If a client cannot take advantage of the tax credits and depreciation – as in the case of schools, municipalities, or nonprofits – then a PPA may be the best choice, allowing for benefits of solar without the upfront costs.